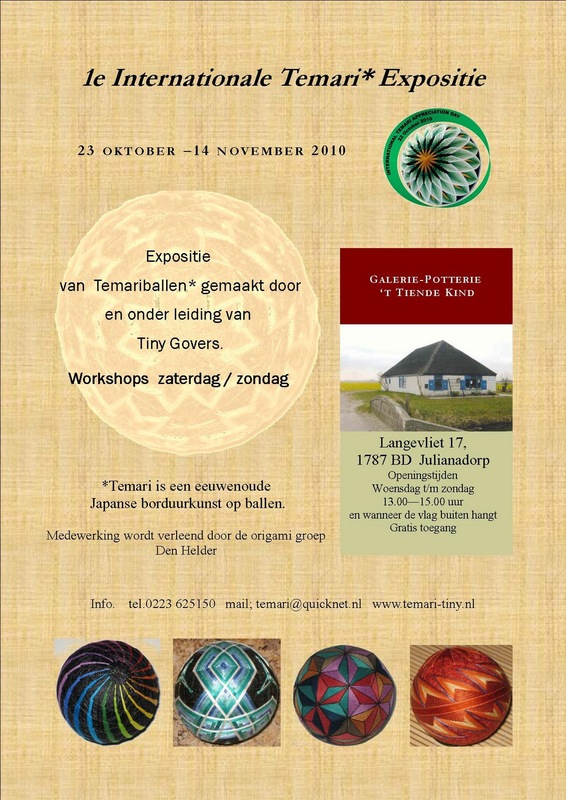 Tiny has made an exhibition of temari making at a gallery near Den Helder. It opens on October 22 and includes Tiny's own temari and those of students from Tiny's hometown. The name of the gallery is called Galerie-Potterie 't Tiende Kind. Look a this beautiful poster Tiny has to promote the show. Tiny will take some photos of the exhibition when it commences. They will be at Tiny's website, here is the link. Thank you to Tiny and your students for making such a wonderful event for International Temari Appreciation Day.